With the influx of Singaporean restaurants flocking to Manila, it’s only appropriate that the Singaporean kopitiam gets represented in the mix. 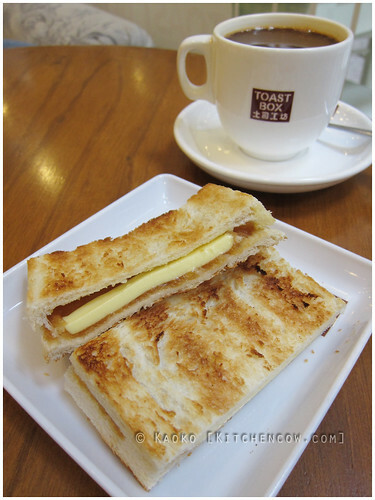 In this case, the traditional Singaporean coffee shop gets local with Toast Box, a big Singaporean chain. Don’t be fooled by the bright, modern interiors though. At its heart, Toast Box is every bit a kopitiam. 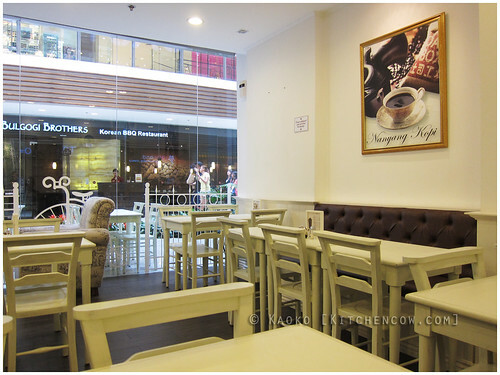 A portmanteau for the Malay word for coffee (kopi) and the Hokkien word for shop (tiam), your stereotypical kopitiam serves coffee, tea and other beverages, as well as simple snacks that go well with coffee, like eggs and toast. While Toast Box offers a selection of hot meals like Hainanese Chicken Rice, Laksa and Nasi Lemak, what I enjoy the most at Toast Box is their classic kopitiam fare. 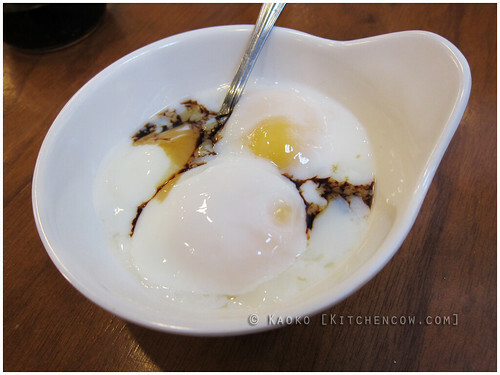 For me, that translates to Kaya Toast, Soft-boiled Eggs with a trickle of soy sauce, and Nonya Coffee. There’s just something oddly comforting about a slice of thin toast, slathered with sweet kaya and butter, then dipped in thick, rich egg yolks. A marriage of the sweet, the salty, and the pleasantly heartwarming, it’s the perfect thing to wake up to. Now imagine it washed down with strong Nonya coffee, the kind that puts proverbial hair on your chest. Absolutely hits the spot, yes? Pad tried their French Toast since he’s seriously addicted to French Toast. It was quite a surprise seeing their French Toast, since we’re used to the lightly and fluffy version. Toast Box’s has a firmer coating, like fried battered bread. It’s served with a slice of butter for added flavor. Another toast offering I tried is the Floss Toast. It featured thickly sliced toasted bread, topped with condensed milk and pork floss, those bits of light, fluffy, seasoned and shredded dried pork. It’s reminiscent of Bread Talk’s Floss-covered buns, actually. The Floss Toast is quite flavorful — you can’t go wrong with salty pork and sweetened condensed milk, but while I liked it, I can’t help but compare it to the said floss-covered buns. In this case, the buns win mostly because of the soft, soft bread it uses. 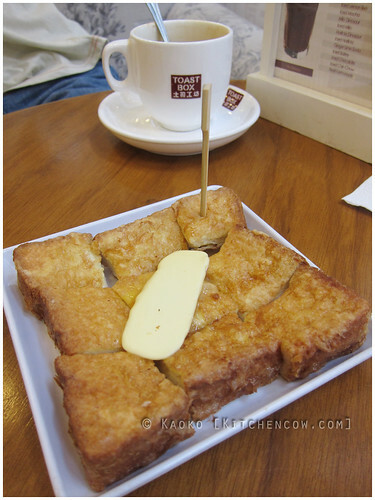 Toast Box’s Toast Sets come with coffee (kopi) or tea (teh). They’re usually served hot, but you have the option of adding a little extra to get it served cold. 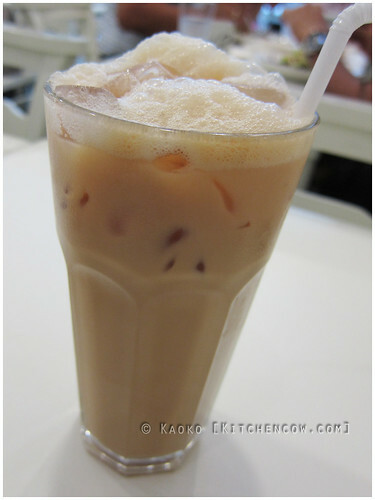 I especially love the Nonya Iced Teh, an iced milky tea that’s lightly sweetened with condensed milk. It comes complete with the froth on top that’s characteristic of teh tarik. Compared to other coffee shops, the Singaporean kopitiam has a distinct character that sets it apart, mostly because of its offerings. It’s not a hip place to be seen, but a comforting place you visit to relax and have a quite moment to yourself. While Toast Box is every bit as modern as its Western counterparts, it still feels homey enough and is a great place to run to when you’re not quite awake yet and still need to chase the sleep from your eyes. 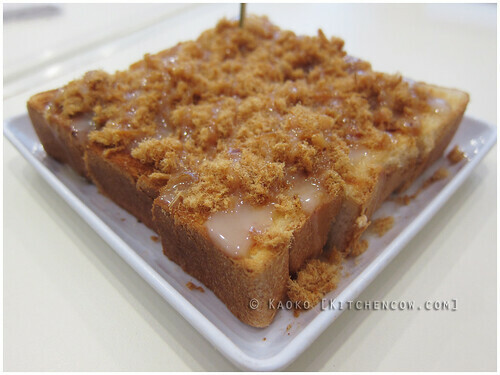 Toast Box has branches in TriNoma, Greenbelt 5, Fort Bonifacio, Robinsons Place Manila, Nuvali, and Alabang Town Center. Once, Mike and I went and ordered three ‘courses’ at Greenbelt’s Toast Box haha. There’s a nice warm feel to this place that encouraged us to eat more and more! Never had a chance to eat at that branch. And to think I was in Makati daily! Their HCR is good? I should try it next time then.